More Qualified Leads Means More Signed Leases. Data-driven marketing and advanced leasing functionalities, all from one source. How do you tap into the most current digital apartment marketing techniques, powerful leasing capabilities, and comprehensive resident screening processes? With the suite of Leasing & Marketing solutions from RealPage®. From visually stunning websites that attract, engage, and convert, to flexible scoring models that make the resident screening process simple, RealPage provides the power to help boost your NOI—and to ultimately outlease and outperform the competition. Generate more traffic every month with a captivating mobile-responsive website. Execute the entire leasing process online, including eSignature capability. Know each applicant’s background—and your risk—using scoring models. Use metrics to pinpoint the right times and channels to capture the right leads. RealPage Document Management is an enterprise level document and content management system specifically designed for the multifamily industry. Engage, convince, and convert the right prospects with our industry-leading, data-driven websites designed to perform. You’re more likely to increase your signed leases with our Online Leasing solution, taking them through the whole process, and saving your staff valuable time. Because you can’t be in three places at once, the RealPage Contact Center acts as an extension of your leasing team, available 24/7. Offset risk and know who you’re leasing to using our pioneering scoring model that looks at credit, criminal, and rent payment history. Stunning and sophisticated, sleek and modern, bold and brilliant—no matter what template works best to showcase your community in the best light, be assured it works to convert, too. Take a look at these eye-catching, lead-generating options. No matter where your prospects start searching for their next apartment home, RealPage Consumer Solutions will be there, every step of the way. Throughout the entire leasing lifecycle, we’re here to make the process easier for prospects, and the outcome more profitable for you. Through advanced technology, we make the search process simpler for prospects, maintaining a strong, consistent branded message throughout the entire process. You shouldn’t be playing a game of guess who with your leasing applications online and in-office. And what happens to your business when your resident screening software doesn’t catch them before they sign a lease? The cost to your property, reputation and community can be more than you bargained for. RealPage Screening Identity Verification can help prevent this with a simple three-step process that will automatically flag discrepancies found in an applicant’s data and offers workflows for both online and in-office applications. Online apartment pricing, availability, and leases made easy. Maximize revenue with resident screening solutions. 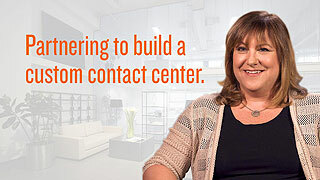 More than a call center. RealPage Contact Center the industry’s largest unified communication platform. Blue Ridge has integrated RealPage Software into the entire resident lifecycle. Learn how to close 75% of leases online. Make your apartment website traffic soar! How to deliver a seamless & efficient leasing experience. 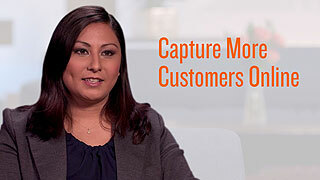 Learn why JVM looks to RealPage to help them capture more customers online. Online Leasing from RealPage puts the kick in your community with advanced features to turn surfers into renters. Watch this overview presentation. Watch how using RealPage Lead2Lease software with two-way texting features means you can respond to leads when they are hot to fill vacancies quicker. RealPage Screening uses a three-step process of identity screening, transactional identification and renter history to deliver the best paying renter for your property. Inspired by the next generation of renters, Morgan Properties wanted to drill down to focus on quickly providing prospects with the information they want, without all of the noise.